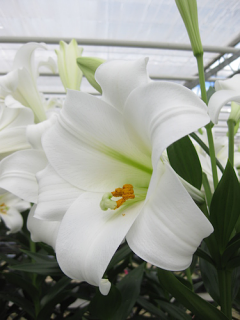 Longiflorum Lilies are a delicately scented, later flowering (August) lily. They are lime tolerant and therefore suitable for borders or pots in either Alkaline or Acidic soils that are well drained. 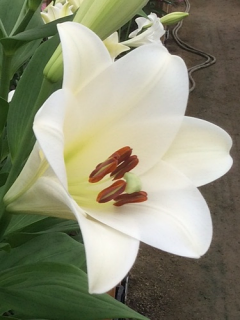 Vuvuzela is a Longiflorum Lily and is new to Harts Nursery for 2016!